When Volkswagen and its I.D. R race car showed up at Goodwood last weekend, it had only one thing on its mind, another record for the single-seat electric race car. It did that and then some. Now, I don’t know if I am seeing things or reading too much into things, but it seems to me that if there is a record waiting to be set or broken, Volkswagen and its I.D. R are there, taking up to the challenge. For example, a couple of weeks ago, the automaker took support team, tuned its I.D. R Pikes Peak model and proceeded to fine tune the race car to a state of readiness that told you this year’s Pikes Peak Hill Climb would have a new record. Porsche and VW work on electric edge. So, when Romain Dumas climbed behind the wheel of the I.D. R and flipped the switch, you knew automotive history was about to be made. Indeed, history was made that day as VW not only set a course record for the hill climb; it smashed the old record quite thoroughly. Then, there was the one-lap record at Spa in Belgium. 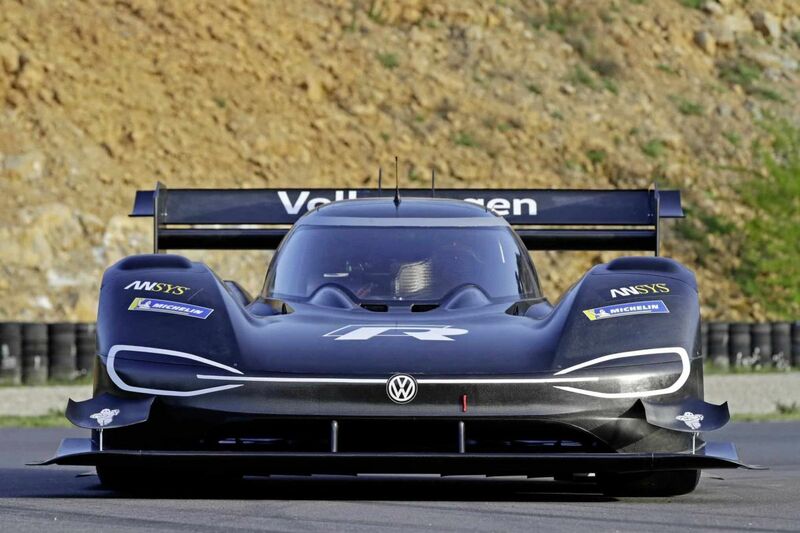 Again, the VW was up to the task and set a single-lap record for an electric racer. The I.D. R ran the track in about 42 seconds, easily eclipsing the old mark. This past weekend there was another record that needed breaking, the Goodwood Hill Climb. The Hill Climb was a piece of the weekend’s traditions that define the Goodwood Festival of Speed in the U.K. Indeed, Volkswagen arrived at the site with its sights firmly on the electric record in the hill climb competition. Indeed, the world watched as the I.D. R tried to set the battery mark. It did, too, in grand style as the race car not only drove through the old mark, it also drove over it, leaving it in the dust. The former record was set five years ago by Jonny Cocker. Driving an 850 brake horsepower Lola-Drayson B12 69/EV, Cocker piloted the Lolato the top in 47.34 seconds. It was easy to see there would be a new record as Dumas had a qualifying time of 43.05 seconds fully four seconds faster than the former. That mark was set on Saturday one day before the mark that mattered. Sunday dawned hotter than the day before, and the heat did rob the I.D. R, a battery electric. Dumas pushed the accelerator pedal it turned out that the official electric record was 43.86 seconds, quickly setting a new electric mark. VW may have wanted more, though, perhaps the driving mark for the race. Nick Heldfeld set the current overall course record in 1999. Driving a 1998 Formula 1 world championship-winning McLaren MP4-13, Heldfeld spun up the 1.12-mile hill climb course in 41.6 seconds. Almost immediately, F1 cars were banned from making time runs up the hill. Ostensibly, the new rules were put into place out of safety concerns. However, since that record-setting run in 1999, the record hasn’t been touched. The closest anyone has come to reaching the mark was in 2003 when Graeme Wight Jr. ran up the hill climb in 42.9 seconds. His ride was a Gould GR51 Hill single-seater. Ultimately, last weekend the I.D. R was close, but there was no cigar. Motor1 speculated that there was one vehicle that might have taken the crown from the McLaren was the Porsche 919 Evo. However, the VW sister brand that might have done the job turned it down. Instead, the 919 Evo spent the weekend doing demo runs with ex-Porsche World Enduro Championship racer Neel Jani behind the wheel. Perhaps VW Sister Brand Could Have Beaten McLaren, but, Porsche said NO.